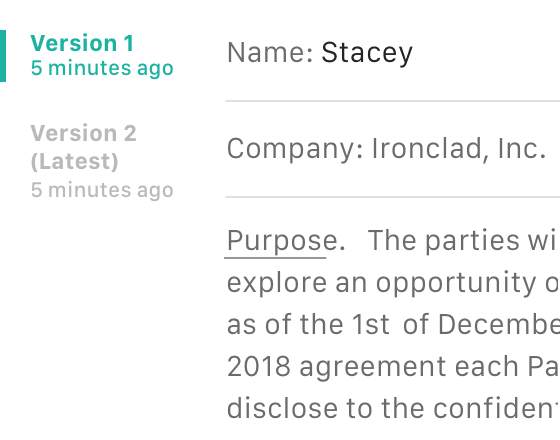 Ironclad combines contract management and workflow automation into a single platform to create a true system of record for contracts. 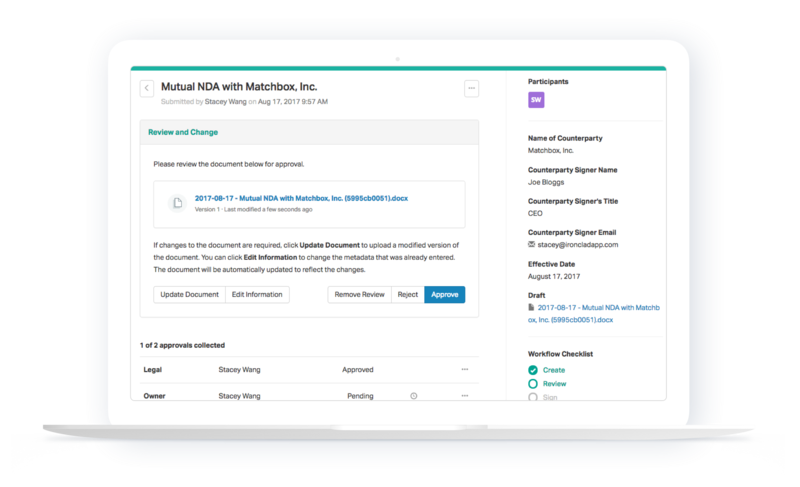 Simple to use and implement, Ironclad seamlessly integrates with CRM, storage, and e-signature providers—all while extracting the valuable metadata your legal team needs to succeed. 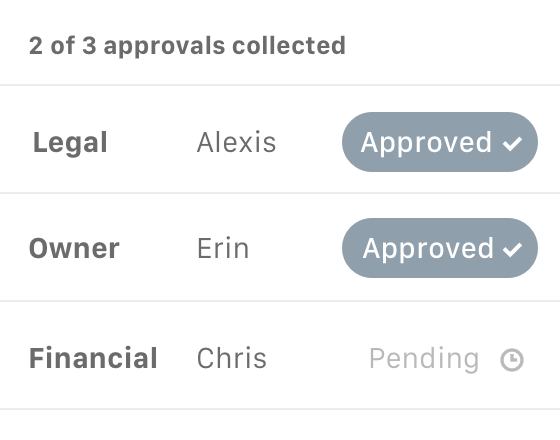 Ironclad is built on secure infrastructure that ensures your contracts are protected while being transferred, stored, and processed. We also enforce a comprehensive set of policies that proactively mitigate risks and build a culture of security at Ironclad. 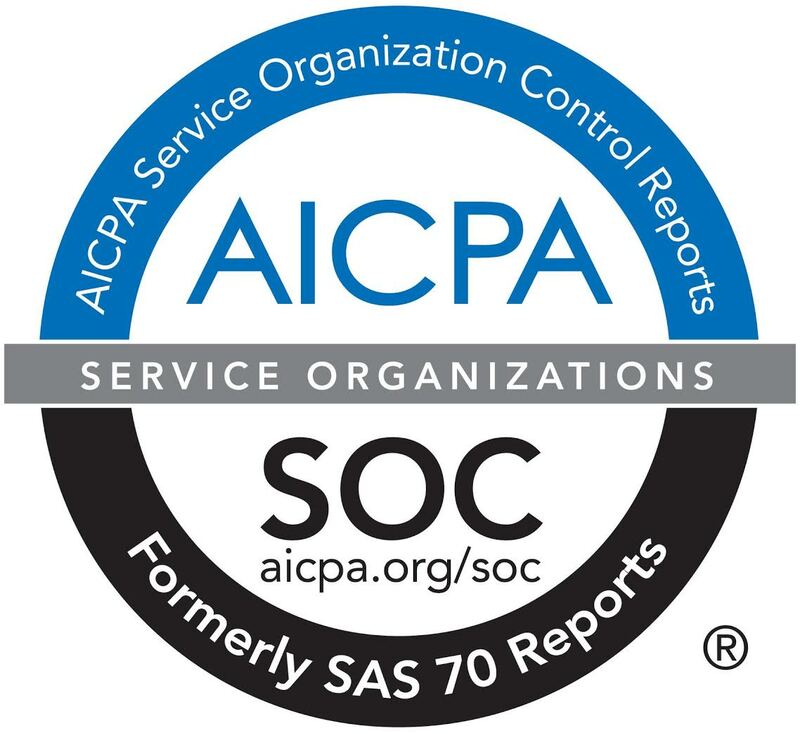 Ironclad is SOC 2, Type II compliant. We take security seriously. 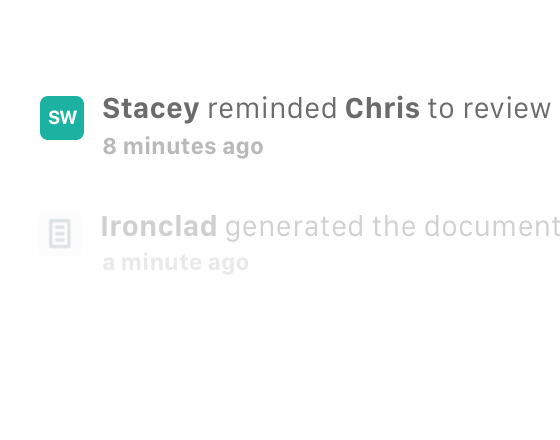 Report any issues to security@ironcladapp.com.